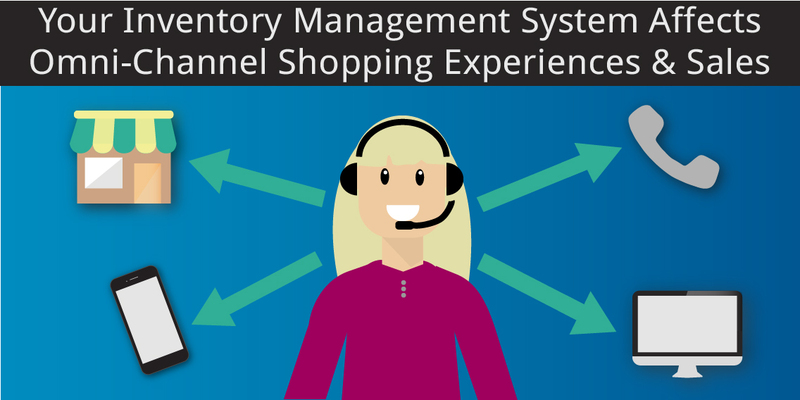 The moment shoppers began to buy across several channels, inventory management became more complex. Consumers are expecting fast and accurate orders, and want complete transparency into the entire order fulfillment process. This visibility is now crucial to compete in the fast-paced e-commerce business, as well as improve your bottom line. Shoppers are continuously shifting among different channels when shopping and it is important that retailers do the same. This means viewing your inventory as a single stock pool, instead of separate supplies for different channels. This blog post will discuss omni-channel shopping, different consumer trends, and how inventory management affects customers’ experience and sales. Omni-channel is almost always defined as providing a seamless experience, regardless of channel or device. This means that you need to ensure that the level of customer service is dynamic through each transaction method. Studies have shown that 38% of users research items online, and then go into the store to purchase them. Whereas, 22% of users find an item in the store, and then go buy it online at home. This shows how important it is to have a seamless connection between your physical and online store. In-store shoppers think that there is better customer service in a brick and-mortar store. The most popular purchases are food and beverages, home furniture/furnishings, lawn and garden goods, kitchenware, and medicine and vitamins. Although at times it is better to see the products you are getting in person, there are frustrations when buying items in-store. The biggest complaint is lack of inventory or that it takes too long to make the purchase. This is why some people opt to buy online. Consumers who shop online have many ways to search for the products they want. They can use a desktop, laptop, or even a mobile device. They can easily compare different offers to decide on the best match. 83% of people who shop online, shop on retail websites. Shoppers say that the reasons why they prefer shopping online is because of convenience, less time spent shopping, and lower cost options. Outstanding customer service and unconventional shopping are becoming standards, while brand loyalty is decreasing. Did you know that 43% of small businesses either don’t track their inventory or use a manual method to? Inventory management is crucial for retail businesses, of all sizes. One of the ways is by giving online browsers the information they need at the key moment. Without effective techniques in place, your business is more susceptible to costly issues. When a shopper finds the item they want, only to see it’s out of stock, it can be very frustrating. Often the product isn’t truly out of stock; the warehouse is, making this challenging for the retailer. Sometimes items are scattered in other locations, but aren’t accessible to online shoppers. Retailers can increase sales and improve the customer experience by creating a single view of their stock. Understand the relationship between sales and inventory. You can’t just focus on your best selling items and forget about the rest. You need to consider the relationship between sales and inventory. One way is to analyze the information to better understand the demand to help you to avoid situations where you have more inventory than you need. Manage residual inventory to control costs and preserve profit. Residual inventory is what is left at the end of one season, which is carried over to the next. No one wants to pay the full price of items that are “leftover” from the previous season. It cost retailers more by having to manage slow-selling stock. To help control this, trying marking down items in the off-season. Automate the inventory management process as much as possible. This is the most important thing you can do as a retailer. Ensuring that all your numbers are correct throughout your system will help show you which products are the most popular and profitable, as well as other valuable insights that will help you purchase and replenish stock more effectively. Manage your inventory in multiple locations. An inventory management system helps to manage your entire inventory as a single stock pool. This gives you the ability to identify how much stock you have, and identify any opportunities to transfer stock between locations. Capacity to track moving inventory. This not only gives you crucial visibility, but it allows you to create a seamless experience for both staff and customers. The ability to track all of your available stock provides your employees with the means to quickly find the location that has an item your customer is looking for. Another important aspect is to effectively stock your inventory. It is important to know what does well where, and to manage your fulfillment operations to specific locations. Using this strategy helps to prevent any unnecessary transferring of inventory to other locations. One way to do this is to learn about your customers. There are two very important things to consider. 1) Give customers what they want, and 2) Keep internal operations in order. Our society is a very demand-driven economy, where consumers have become more powerful due to social media. They will switch at any time to one of your competitors if you can’t meet their demands. 54% of consumers say that clear, accurate tracking is an important consideration and 82% say that they will purchase more to take advantage of a free delivery option. A critical condition for a successful business is a single source of data for all sales channels that increases inventory visibility across your supply chain. Many retailers are already following this strategy. They are integrating to leverage the considerable reach their customer have and the convenience of online shopping to boost revenues. Efficiency is crucial for good customer service and to keep your internal operations in order. The right inventory management system is the difference between a lost sale and a returning customer. By enhancing inventory visibility for your shoppers, and having organized, order driven fulfillment warehouses, it will improve your bottom line, as well as improve your consumer’s shopping experience. If you want your business to lead, it is necessary that you become omni-present. Choosing the right inventory management system will have the largest impact on your business. See how Clear Spider can help with your omni-channel inventory management! Schedule a demo today! Protect Against Cybercrime – How Cybersecurity Helps!